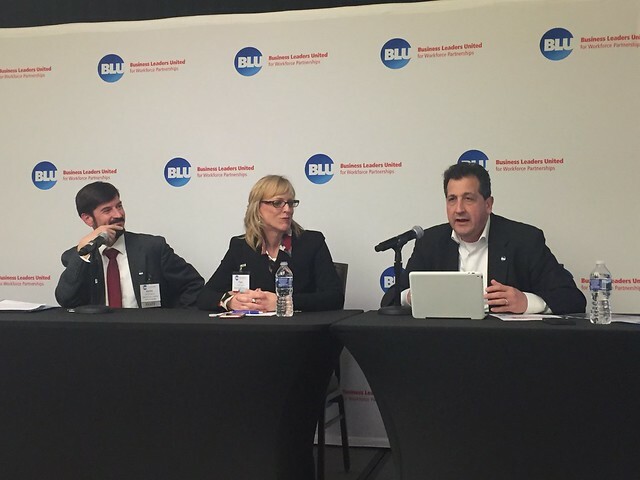 On December 7-8, seventy business leaders from around the country came to Washington D.C. for the 2016 BLU Fly-in to influence the workforce policy discussion in the new Congress and administration. They held more than 90 meetings on Capitol Hill with their Senators and Representatives where they shared their workforce challenges and carried their work-based learning and job-driven higher-education policy proposals (Perkins and Pell) to key lawmakers. BLU members met with Representative Virginia Foxx (R-NC) who is the incoming House Education & Workforce Committee Chair. They also met with the majority staff of the Senate HELP and House Education and Workforce Committees. These meetings will be key to positioning BLU business leaders as a resource to the shifting leadership in the 115th Congress, and ensuring that BLU's policy recommendations are familliar to federal policymakers as key reauthorizations progress in 2017.